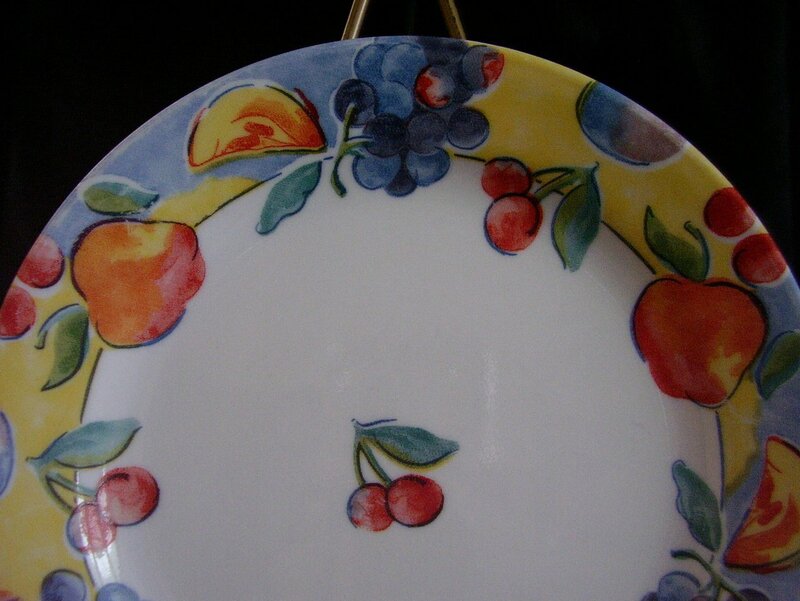 Corelle Fruit Basket bread and butter plate. Microwave and dishwasher safe. In good used condition, it has no cracks, chips. Decals are bright, shiny and intact. 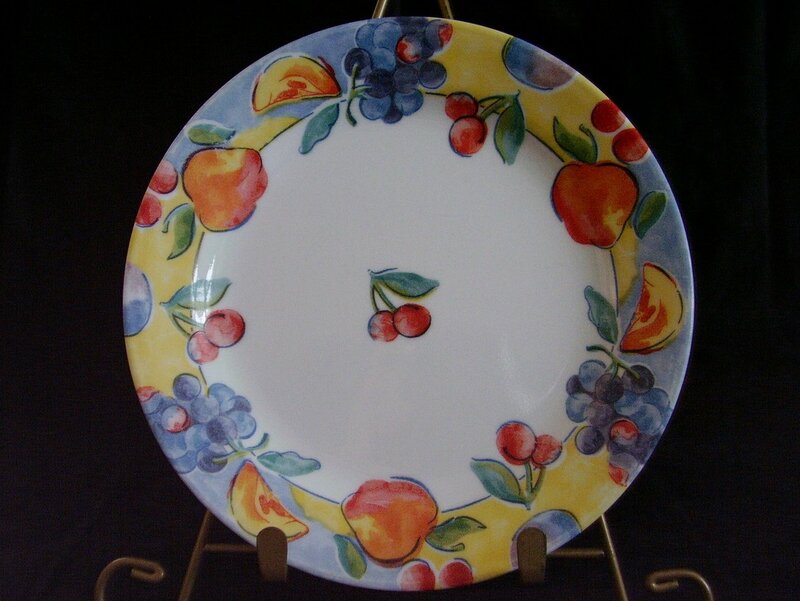 Corelle Fruit Basket bread and butter plate. Microwave and dishwasher safe. In good used condition, it has no cracks, chips. Decals are bright, shiny and intact. There are a couple of faint minor marks when tilted to the light. Measures 7 1/4 inches in diameter. There are extras available.